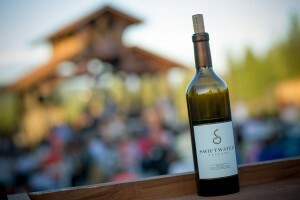 For those guests who have come for respite, our Swiftwater Cellars wine paired with a decadent meal from The Hoist House Restaurant will complement your needs to indulge in the simple luxuries of life while sitting on the patio enjoying the views. We cater to good friends and family, gathering for fellowship and fun. Our guests have many options to choose from, including playing a round of golf on the championship Rope Riders Course during fair weather or snowmobiling into the mountains surrounding the property. What better way to end your adventures than by sharing a brew on the patios at the Pro Shop or warming up in the Fireside Lounge watching the latest game. If you prefer, indulge in the decadence of lovely wine, gourmet food and comfortable lounging spaces with our spectacular views. Visit The Boutique at Swiftwater Cellars to find just the right gift or token to carry home with you. We carry gorgeous amenities for mountain lodge living and designer clothing brands for both men and women. Whether you are on your way to a family vacation or making Swiftwater Cellars your family’s destination, our rustic furniture will give you a comfy spot to gather and make your plans. The fun begins in the trails around, water sports at the three nearby lakes or the glorious stargazing from our sweeping patios coupled with large fire pits to keep you warm. 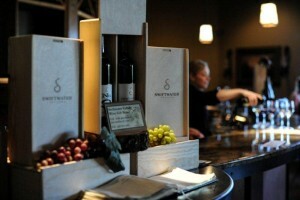 As “Washington’s Ultimate Destination Winery,” we offer more than just premium wines and fine dining. Visit our winery for a look at both the rich history of the local landscape and the stories of the area. Get a glimpse of the winemaking process with a tour of our facilities and take a moment to relax in our wine bar. On Fridays and Saturdays you may even catch our local Wine Maker Andrew Wisniewski for an in-depth look into the artistry that goes into the creation of our Swiftwater Cellars wines. The Washington State Horse Park recently opened marking its venue as the Northwest’s premier equestrian facility, providing 112 acres of gently sloping terrain for riders of all levels and an assortment of events from small riding demonstrations to major horse shows.